Nothing is more elegant and pleasing to the senses than having tatami mats under one’s futon. 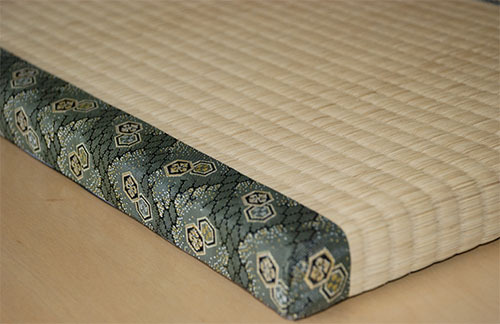 Tatami mats come in 2 varieties. Here at Sleep Exquisite we have been making a modified version of the Japanese tatami for almost 30 years. We have reduced the size of each mat to a much more manageable 24" x 48" increment. We have found that this size works best with western bed sizing when compared with the imported tatami. 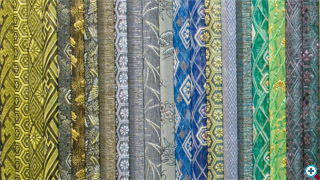 We offer many different borders to bind the edges of the tatami. Each edge is completely covered. Custom sizing is also available. 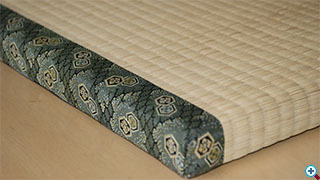 Sleep Exquisite tatami mat with brocade border. 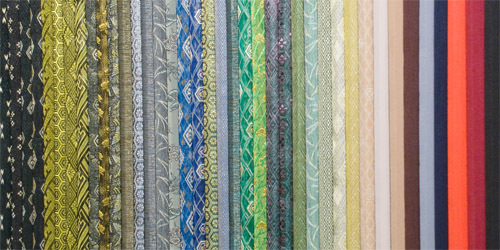 Border choices for all Sleep Exquisite-made tatami mats.